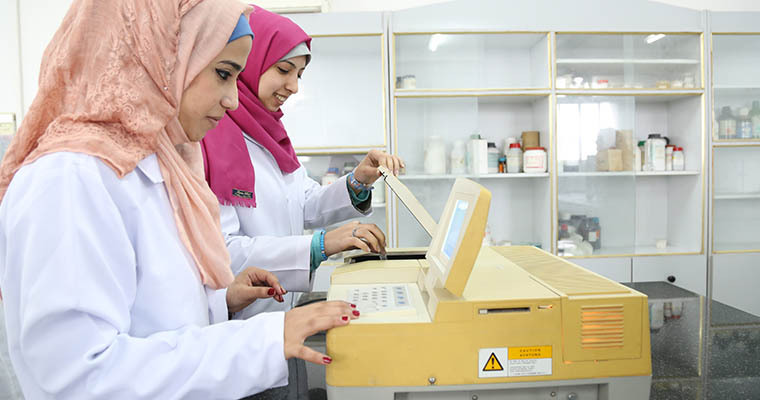 The department was launched in 1997 to respond to the Palestinian society needs of qualified health cadres in the various diagnostic, preventive and rehabilitative therapeutic areas. The Department of Medical Laboratory is devoted to the study of molecular and cellular constituents of blood and other body fluids. Our work is crucial to the diagnosis and management of illness and the investigation of the mechanisms and pathogenesis of disease. The department offers integrated study plan for all medical and clinical analysis required for the diagnosis of various diseases. Courses represented in the department include: Clinical chemistry, Hematology, Medical Microbiology, Molecular Biology, Body fluids, Analysis of food and water and Management and control of quality. The department awards a bachelor's degree in Laboratory Medicine for students who successfully completed 144 credit hours as well as for diploma students who want to pursue their study in bachelor.